Stay in Villette Adonis and you’ll have the opportunity to explore Andros and live unique experiences. A charming gem to experience your personal odyssey. A inherent natural beauty with bald peaks, many green valleys which drag out to the turquoise blue sea with streams, that lead water throughout the year. Hiking is the best way to explore and get to know the place you’re visiting. Andros is not an exception. Turquoise blue seas, breathtaking landscapes and green valleys are calling you to discover them. 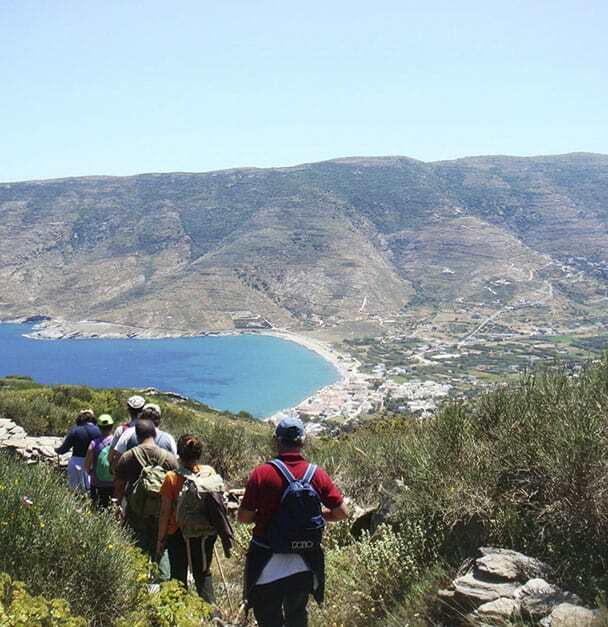 Walk around and explore marked trails with the company of qualified guides or on your own, starting from your place in Villette Adonis. The large natural garden with the olive grove, the slope with the vines, the many apricots and the eight different fruit trees, the citrus trees, the two springs invite you to linger and relax. In the large garden you can pick fresh seasonal fruit for free. Share our love for the land! 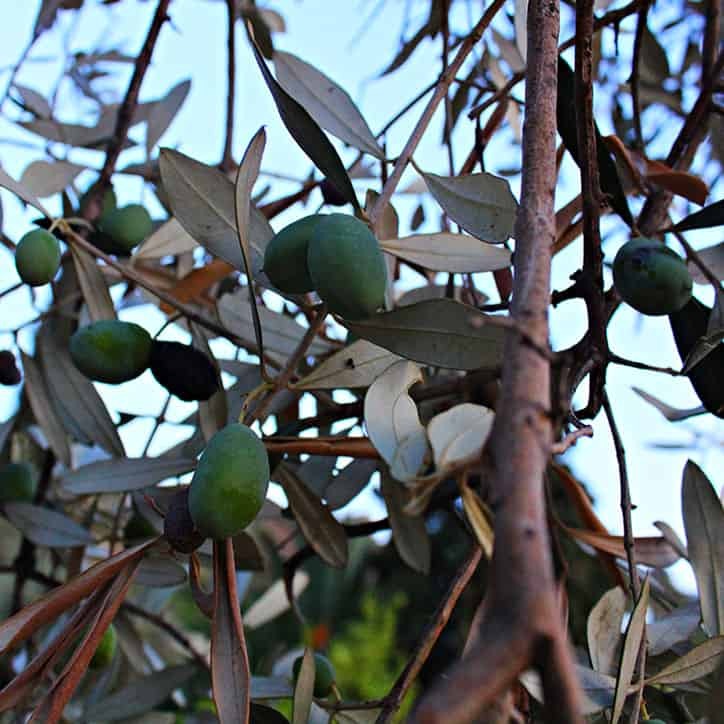 Participate in agricultural activities such as fruit and the annual olive harvest. Discover the Aegean treasures lying under the crystal clear blue waters of Andros. 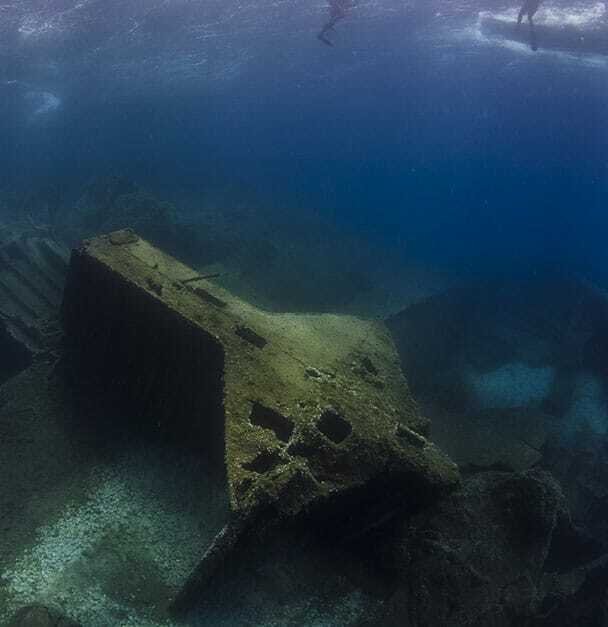 Shipwrecks and breathtaking states lie below Andros sea level creating an impressive subsea life for you to explore. Don’t miss out on this opportunity! 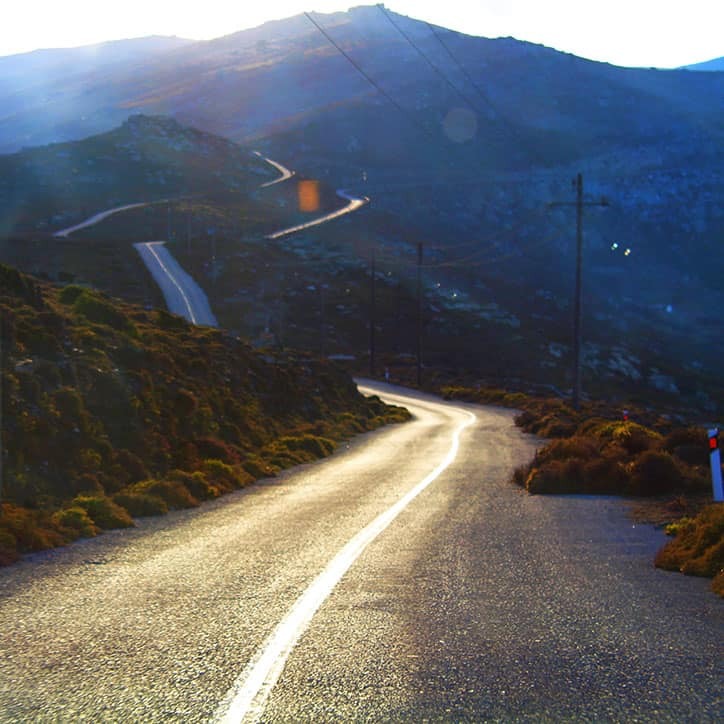 With it’s total area of 383 km2, Andros is after Naxos the second biggest cycladic Island. 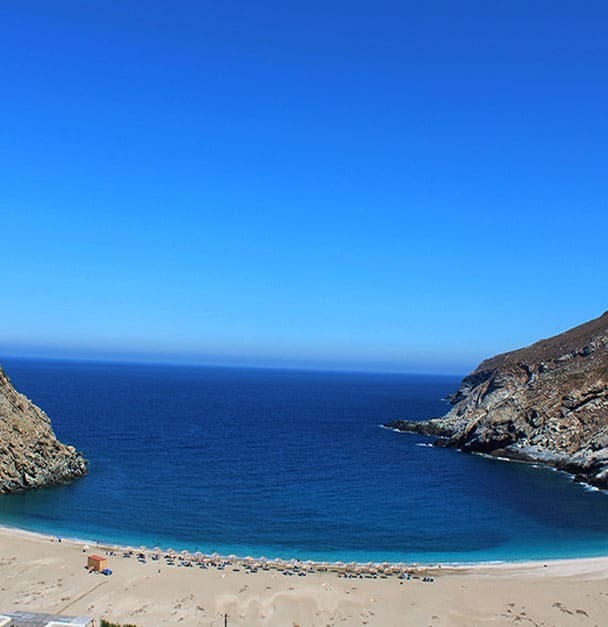 More than 70 beaches (just a few of them are frequented by bathers) are waiting for you to discover them. Some of the most popular among visitors are Golden Sand in Kypri, St. Peter’s and Achla beach. Zorgos and Vitali beaches are remarkable for their natural beauty due to their unique location and amazing waters. The island has local producers of honey, cheese, olive oil, wine and oyster mushrooms. The fresh products stimulate you to try new things. The island has also a lot to offer for culinary interested people. In the two cooking schools you can learn in courses how to prepare traditional food quickly and delicately. The houses are 5km from the port of Gavrion. 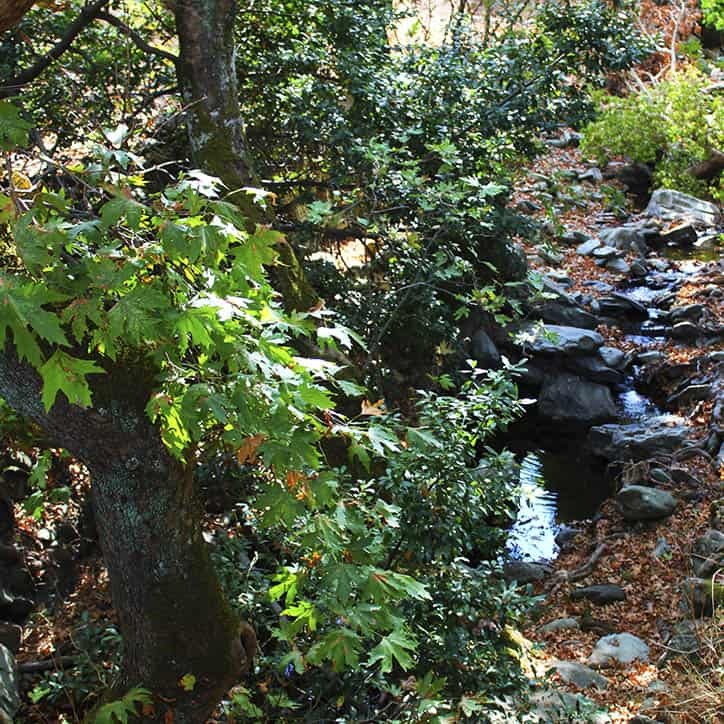 The village of Agios Petros is 400m. away. 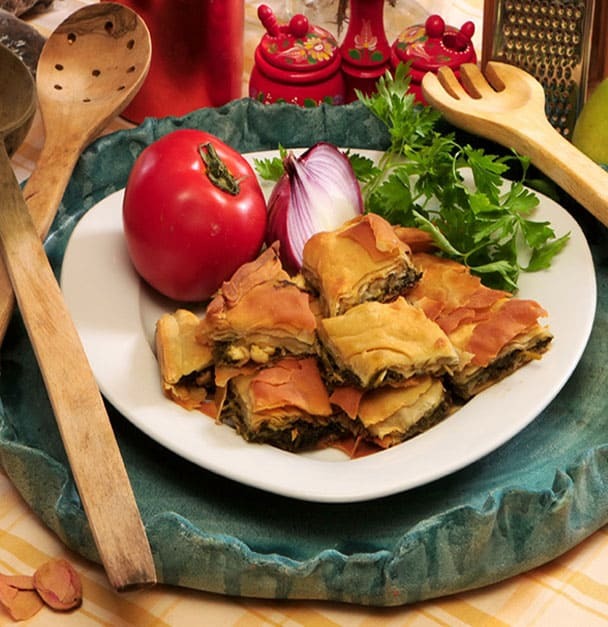 The nearest restaurants are located at the beach of Agios Petros and in the port of Gavrion. You will also find shopping, bank, post office, cafeterias, bars, pharmacy and doctor. 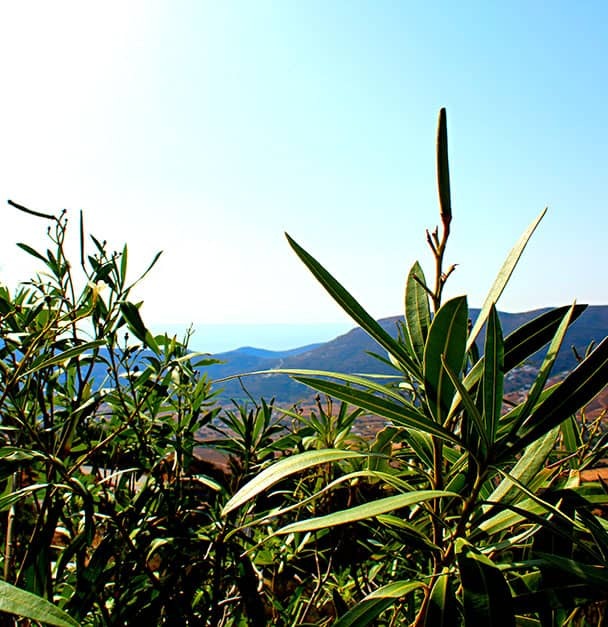 The large natural garden with the olive grove, the slope with the vines, the many apricots and the eight different fruit trees, the citrus trees, the two springs invite you to linger and relax. In the large garden you can pick fresh seasonal fruit for free. The ideal place for families, single travelers, couples, lovers, artists, hikers, beach lovers, bicycle enthusiasts, lovers of life and life. In short, for those who want to enjoy a relaxing holiday far away from mass tourism and in the most beautiful nature. All the villas are built with all modern day facilities and comforts in traditional cycladic architecture on a beautiful hillside, overlooking the turquoise blue Aegean sea and the valley. They are guaranteed to deliver a unique holiday experience.